Psychic readings are personal or group assessments that discover information through the use of sensitive abilities which are additions of the general human’s abilities of the five senses. The increased ability of vision (clairvoyance), touch (clairsentience), knowledge (claircognisance) and hearing (clairaudience) allow psychics to venture deeper into the activity of oneself producing direct information about an individual depending on their personal, social or emotional state. Aquarius (January 20 to February 18) – Independent and original individuals that are often uncompromising and struggle emotionally. Often appear timid to be revealed as eccentric as well as loving and caring. Their sign (air) induces mental stimulation and motivation for success. Pisces (February 19 to March 20) – Compassionate and wise individuals who are often fearful and enjoy their own company. Their symbol (water) characterises empathy as well as musical talent associated by Neptune. Aries (March 21 to April 19) – Courageous individuals who are determined and confident yet are often short tempered/impatient. Their sign (fire) symbolises a nature to take action despite sometimes not thinking it through. Taurus (April 20 to May 20) – Reliable and patient individuals that are stubborn and uncompromising who dislike change. Their symbol (Earth) proves them to be overprotective but determined to succeed. Gemini (May 21 to June 20) – Gentle and affectionate, quick learners but suffer from nervousness and indecisiveness. Their association to air makes them concerned with all aspects of the mind, similar to Aquarius. Cancer (June 21 to July 22) – Tenacious and highly imaginative individuals who are persuasive but pessimistic, manipulative and selfish. Their symbol (water) gives them empathy while their association to the ruling moon, deepens their mysteriousness. Leo (July 22 to August 22) – Humorous, cheerful and passionate individuals with the capability for arrogance and being self-centred. Natural born leaders with confidence which is emphasised through their symbol (fire). Virgo (August 23 to September 22) – Virgo represents loyal, analytical, hardworking individuals who are often shy and critical of themselves and others. Their symbol (Earth) makes the conservative and organised. Libra (September 23 to October 22) – Cooperative and diplomatic individuals who are sociable and think things through, despite being indecisive and often carries self -pity and a grudge towards others. Their symbol (air) expresses their intellect and keen mind. Scorpio (October 23 to November 21) – Resourceful, valiant and passionate individuals who can be distrusting, violent and secretive. Their symbol (water) couriers their need to express emotion whether good or bad. Sagittarius (November 22 to December 21) – Generous individuals with a great sense of humour who often promises more than they can give and can be impatient. Their sign (fire) emphasises a need to have everything immediately while showing their need to be in touch with the world and experience as much as possible. Capricorn (December 22 to January 19) – Responsible and disciplined characters who can be patronising and unforgiving. Their association to Earth emphasises the importance of love and family. Cards used to gain knowledge inside an individual through a question or scenario. Often seen as a ritual process, the cards are used like normal playing cards with four suits but each card expresses a different meaning and possible outcome to one’s future. The word ‘tarot’ derives from the German and Italian meaning of ‘uncertain’ and are used to gain certainty about situations that are happening/to happen. Each card has a character that derives a different meaning usually associated with good or bad; for example The Fool who represents undefined potential as he’s naïve and innocent which could lead to good or evil depending on their decisions. Palm readings claim to foretell the future through studying lines in the hands or palms (also known as chirology). This practise evaluates the possibilities within someone’s life and can read their character via the lines on their palms. Lines vary in size and qualities, informing psychics of different interpretations. Other things that can affect readings are the shape and colour of the palm. Some psychics believe certain lines in the palm can show aspects of one’s past life and can link to the elements of an individual presented through their astrological signs. Earth hands are usually big palms with square shaped fingers with hard skin. Air hands tend to have rectangular or square palms with excessively obvious knuckles and long fingers, often with dehydrated skin. Water hands often have oval palms with long fingers. Often the palms themselves are quite long. Fire hands include often pinkish palms that are shaped squarely or rectangular with shorter fingers. Each crease and line has a different meaning including the heart line (examining love and attraction), life line (indicating life expectancy), fate line (showing future occurrences), head line (representing a person’s mind and initiative) and the simian crease (linking the head and heart line showing a person’s purpose). These readings are mainly used to heal the body and soul (often used through the art of meditation). Crystals are used by examining the body’s magnetic field and cleansing it into a healthy state. Different crystals can be carried by an individual to cleanse them, during meditation or through placement on the body to mend a certain area. Made through minerals, crystals are organic and pure but are not all gemstones. It is often believed the more natural the stone, the stronger its properties. Psychics sometimes use crystals to identify the purity of one’s soul. Different crystals induce different properties for example Emeralds hold the power to gain luck in love while aiding tranquillity and the power to heal the heart. Psychic readings can show you how and why certain situations or conditions are happening in your life, for example examining why you may have good or bad fortune. By finding out why this is happening, psychics are able to help you change your future or to sustain it. Psychic readings can help you release tension and gain positive energy improving your health. Some people who suffer from mental illnesses use readings to purify their mind and soul allowing them to live easier lives. Some people believe it helps physically, especially when readings include cleansing for example lying over a crystal to rid the body of bad ambiances. Psychic readings often connect you with things that are important in life including loved ones or relationships. By understanding how others feel about you, it is easier to change or sustain your actions towards an individual or assist them in their own needs. It can also connect you to lost loved ones providing comfort. Sometimes readings can inform individuals what they should be looking for in partners, making compatible matches. This is often used through the astronomical signs. Our relationship psychics help guide you through making decisions about your current relationship and what is coming up in the future. Readings can also make a person understand whether they are suited to a certain job and whether they are going to be happy undertaking it. Readings could also indicate possible solutions if problems arise in the workplace. Having a reading could induce an interest into participating with a certain medium or learning the traits and skills needed to pursue this career. 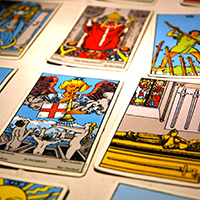 For years, psychics have been giving different readings for various reasons e.g. reuniting loved ones, cleansing the body or predicting the future. While some believe readings are scams, these false assumptions have been undermined through continuous positive feedback of those who have had readings saying it has improved their mental and physical health as well as their understanding of others. Other thoughts include the ideology that fate and destiny control your life and nothing can change it and therefore there is no point to psychic readings, often coinciding with the worry that mediums are inexperienced. However, as time has progressed more people have been encouraged to have readings to control their fate which can be encouraged through the many years of training mediums undergo, making them reliable and truthful. Many believe that psychics can still give you steps to improving your life and can be worthwhile, explaining why the demand has grown. Since the 1500’s psychics work has been contradictory. One of the first psychics known as Michel de Nostradame (1503-1566) foretold natural occurrences such as floods and droughts as well as political conflicts such as assassinations and war. Due to many of his prophecies being undated, some predictions have been deemed relevant today, questioning his knowledge. Psychics were also commonly present in the work of Shakespeare. In Hamlet, the Dane is visited by the spirit of his Father, while in Macbeth; Macbeth is visited by three witches, showing beliefs in spiritualism and psychic occurrences to be prevalent in history. This coins the belief of there being one almighty God that created and controls the Earth. The word originates from the Greek ‘monos’ meaning ‘one’ and ‘theos’ meaning ‘God’. As this belief interprets God as a higher being, the idea behind psychics was ridiculed as God was the only being that could create good and evil and take spiritual forms; but as religions have expanded so has the need and dependence of psychics as the possibility of healing has been proved to be aided through readings as well as beliefs. Perspectives on psychic readings nowadays are more positive. With the rise of psychics due to popular demand, it is more common to hear of different readings and experiences; especially with the increase in advertisement of readings on television and the internet. Shows such as ‘Ghost Whisperer’, ‘Medium’ and ‘My Psychic Life’ which all show evidence of spiritual contact with effective results, from messages from loved ones to ridding evil spirits, supports as evidence. Games such as Ouija boards have also become more common amongst citizens as well as psychics, with claims of both positive and negative results, showing the increase in inquisitiveness of what is deemed an aloof topic. Psychics have also been proven worthy of their name in various criminal investigations. Their readings and predictions have aided police inquiries and law enforcements when searching for criminals and missing victims, proving their worth in modern society. Due to the rise in demand for psychics it can only be assumed that their popularity will continue to increase. With more technological factors such as apps like Moon predictions and platforms such as ‘Netflix’ with shows like Ghost Whisperer, it seems likely that more people will be introduced to the world of mediums, raising curiosity and requests for them. Previously, psychic readings have all been influenced through spiritual leaders/professionals and their written experiences in books, however the ever-developing world of technology now means readings are instantly available online through search engines (such as your star sign or researching types of readings) creating positive outcomes as it is quick and easy to receive the information you want. Free psychic chat rooms such as ‘AllMystic’ and ‘MoonWhisper’ now encourage uncertain individuals on gathering advice or easily from experts resulting in faster outcomes. However, the validity of this information is questionable as the internet can be accessed by all people including non-experts who share information they only believe to be true. This easy access can also falsely encourage people to turn to the internet before using common sense, causing misjudgement of cases and overreactions. Due to the internet being free, commendable psychics are losing money as people trust the internet more, causing a decrease in their income. The use of technology for readings can also be seen as an issue for health as devices are becoming addictive and discourage interaction. For accurate readings it would be recommendable to go to an experienced psychic to ensure your results are as accurate as possible and to discuss any steps needed to be taken; or if speaking to an expert online, ensure the chat is legitimate and a recommended site. Why to Choose Moon Predictions? Moon predictions psychics are handpicked, experienced psychics by the original Moon predictions renowned for her healing abilities which aided her nursing career leading to her leadership in the field for over 15 years. As a psychic consultant and having made appearances on national TV, you can be assured all Moon predictions psychics are trustworthy and expertly qualified after years of training. Moon predictions is one of the most recommended websites for psychic readings and mediums with 100% genuine positive feedback and testimonies from satisfied customers. In case of dissatisfaction, Moon predictions offers full refunds on debit card calls provided the customer returns to reception within the first 5 minutes of the call. Moon predictions gives 24 hours service as well as a welcoming reception team who will discuss your needs to ensure you see a psychic personal suited to you (expertise ranging from relationships, careers, tarot cards, horoscopes and more). Overseas callers are welcome and all payment details are confidential and secure. There is also the Moon predictions app that can be downloaded onto smart devices for easy access. Moon predictions are a respected company that are small enough to care but large enough to cope. If in need of assistance or if you have any enquiries please contact us at any time. To speak to our friendly reception team or to make debit/credit card payments, call 01623 625745. Alternatively, call 0906 5000 608 to speak to a psychic reader and pay via your telephone bill. Please visit moonpredictions.ie to see which psychic readers are available and to read their testimonials and find which reader will suit your needs.